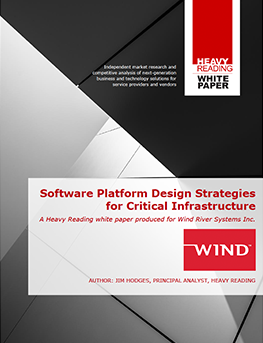 A Heavy Reading White Paper Produced for Wind River Systems, Inc. Multiple industries, including industrial, medical, telecommunications, transportation, and more, are increasingly adopting software platforms to deliver their services and run their operations. Because these high-stakes applications have specific requirements regarding low latency, performance, and security, industries are evaluating whether every application needs to run on a new class of critical infrastructure, rather than on bespoke, stand-alone network infrastructure. This paper discusses these new classes of applications across multiple market verticals and offers insights into how those systems will need to run in order to be successful. Get an overview of the features and capabilities of Titanium Control.